Tanzania, the largest country in East Africa, can trace back human existence as early as the first century. Fossilised remains of humans have been found dating back to over 2 million years ago. The first people to inhabit Tanzania were Khoi San and Cushitic hunter gatherers. People from the ancient civilisations in the Persian Gulf and Western India used the country as a merchant trading post from the first millennium, perpetuating Islam as the dominant religion and culture until today. Under British rule, Dar es Salaam was officially made the capital city. The city proceeded to grow and amalgamated British, South Asian, Middle Eastern and African influences and culture. In 1973, Dodoma was made the capital, however, Dar es Salaam remains Tanzania’s primary city in size, economics and politics. 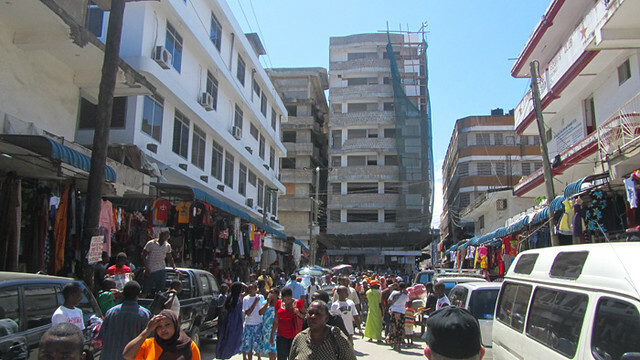 These factors all contribute to Dar es Salaam’s busy and vibrant character. The city’s commercial hub thrives with business, trade, traffic and retail. 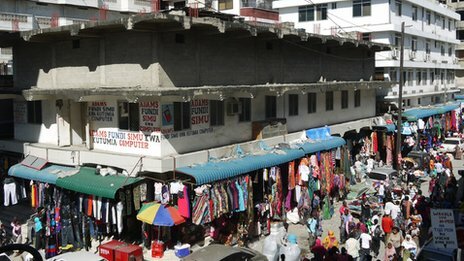 The Kariakoo shopping district is one of the largest in East Africa. Be warned, it is not for the faint of heart. Here capitalism is a serious business; one’s haggling skills and resolve must be as tough as steel. The Kivukoni Fish Market is a stunning place to watch the oldest activity in Africa; catching fish and selling it. 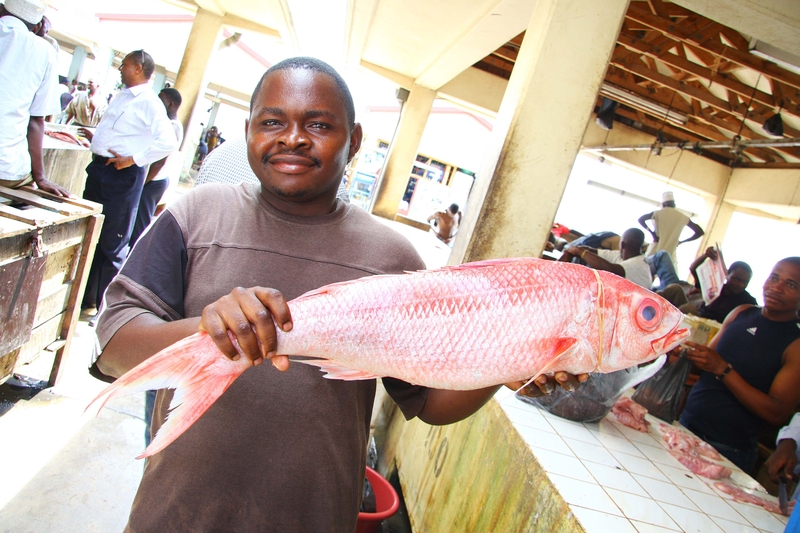 Here you will find fresh 7kg Red Snapper to turn into a scrumptious dinner. By 7am, the market is already swarming with buyers around the stalls, debating over prices. A photographer’s tip is to enter one of the high buildings around the market to take bird’s eye view shots and witness a typical day in Dar. Aside from shopping, Dar es Salaam has placed a heavy emphasis on culture; specifically music and art. The Nyumba ya Sanaa, “House of Art,” is a renowned arts and culture centre and workshop that is dedicated to promoting and exhibiting Tanzanian artists. The Tingatinga style of painting is showcased there as well as works by famed sculptor George Lilanga. The popular sport is, of course, football. Dar prides itself in being the sports centre of Tanzania with its National Stadium. The stadium can hold up to 60,000 people and is often the venue for lively games. 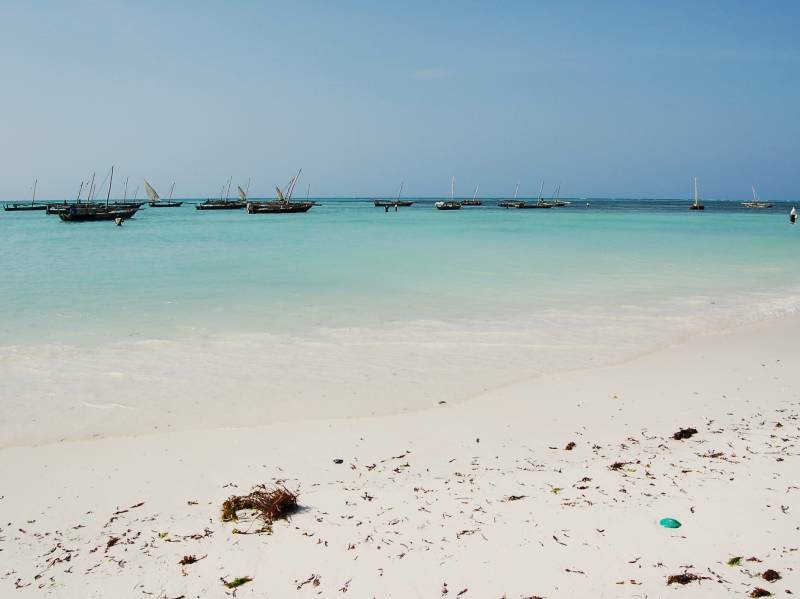 The Indian Ocean is never too far away with the many beautiful beaches of Dar es Salaam. Its most famous is Oyster Bay or Coco Beach. The only white, sandy beach in the city, it was once the hang-out for colonial diplomats and high society members. Mbezi Beach is at the northern stretch of Dar and boasts a long line of tourist’s accommodation and hotels that are superb for sundowners. A large and in charge city, Dar es Salaam is a mecca for African rail tour passengers wanting to sample a taste of East African wonder.